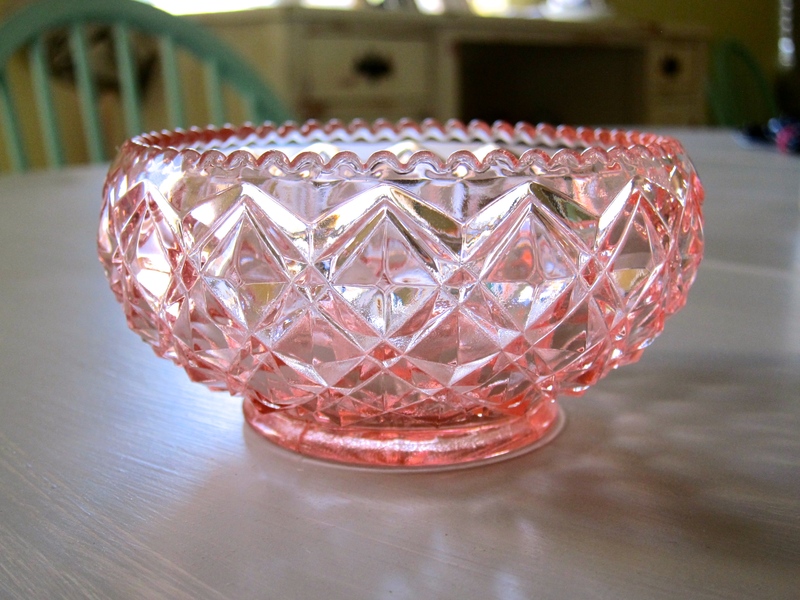 Lately I have really gained an appreciation for old antique vintage looking things. I’ve been frequenting our local flea market and have scored a few great finds, many of them in VERY good almost pristine condition. Thought it would be fun to share pictures of some of the cool stuff I’ve found. Take a looksy! 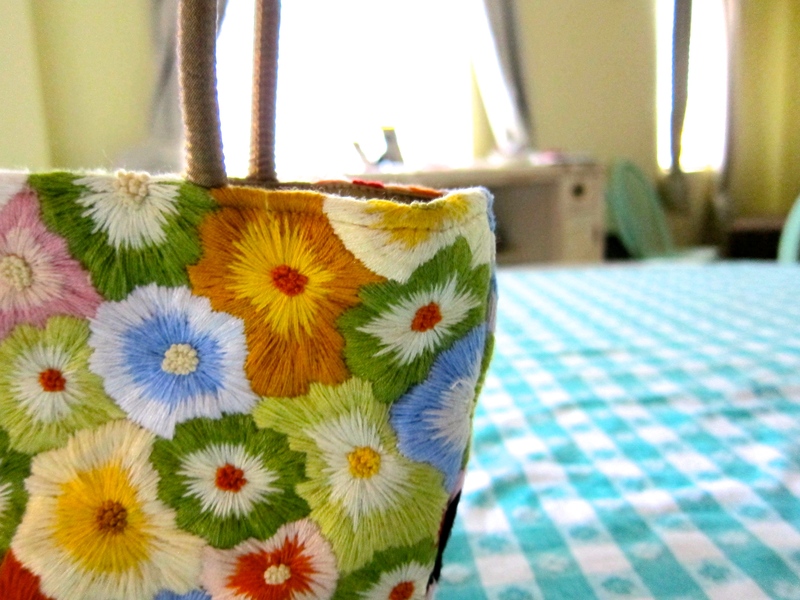 I found this cute little embroidered bag. 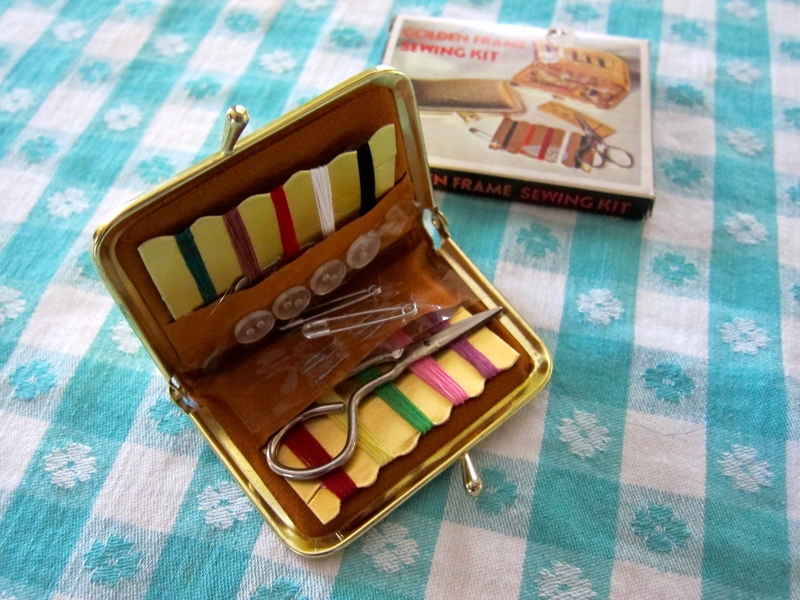 It’s just adorable and perfect for holding just my wallet, keys and phone. It’s not very big so I wouldn’t carry a whole lot in it. Wouldn’t want to weight it down and have one of the handles break off although they do look like they’ve been sewn in very securely. 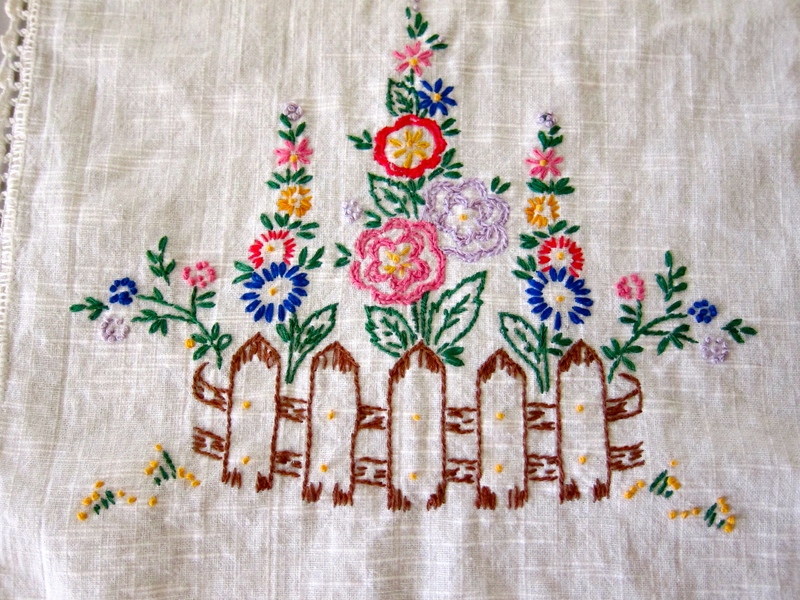 Don’t you just love the beautiful colors and all the detail of the embroidery work? It’s just darling! 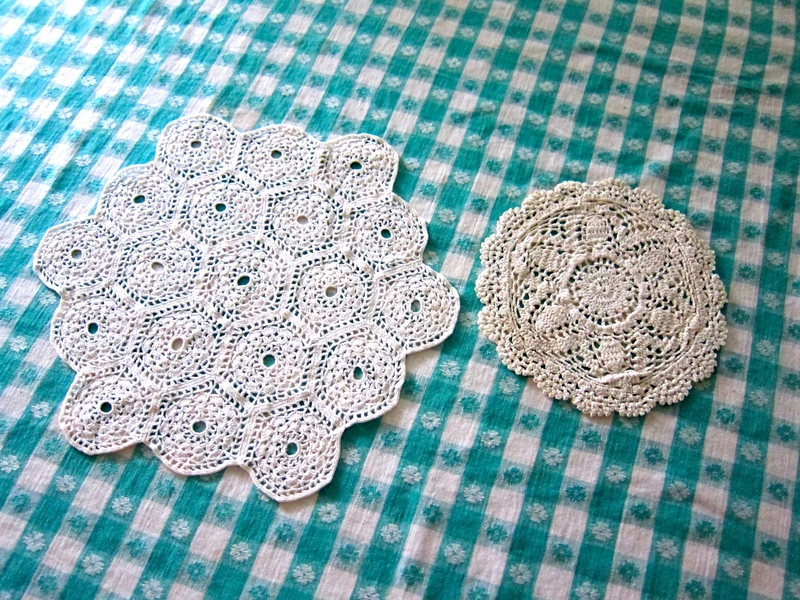 These vintage tablecloths were just what I was looking for. 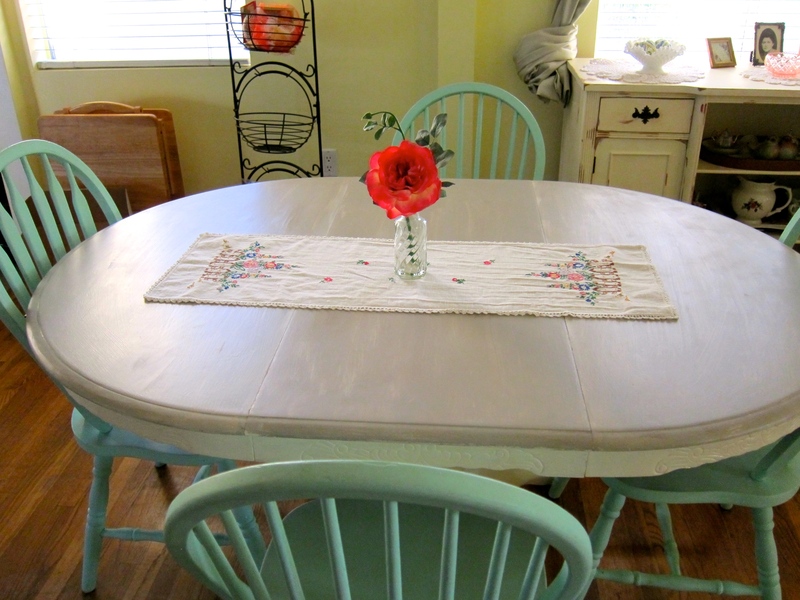 Just a breath of fresh air to go over our little cottage table. 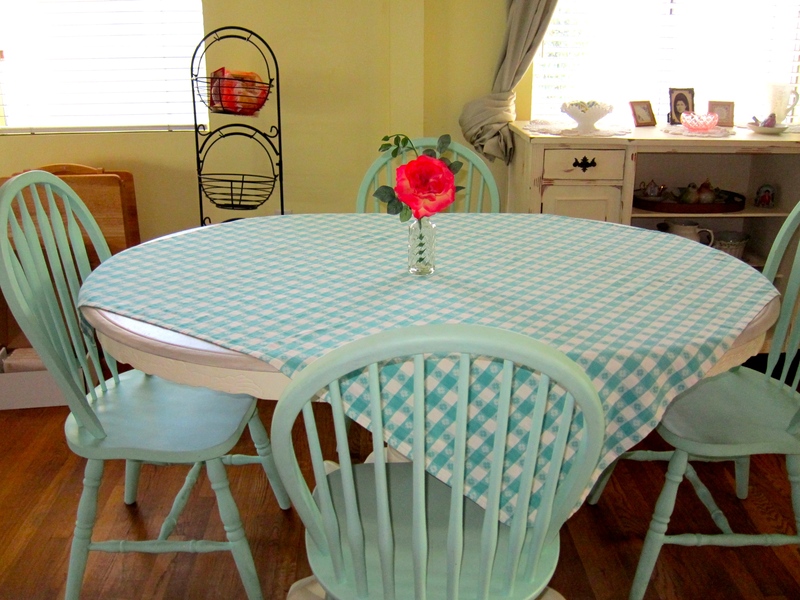 The green checkered cloth goes perfectly with the chairs. 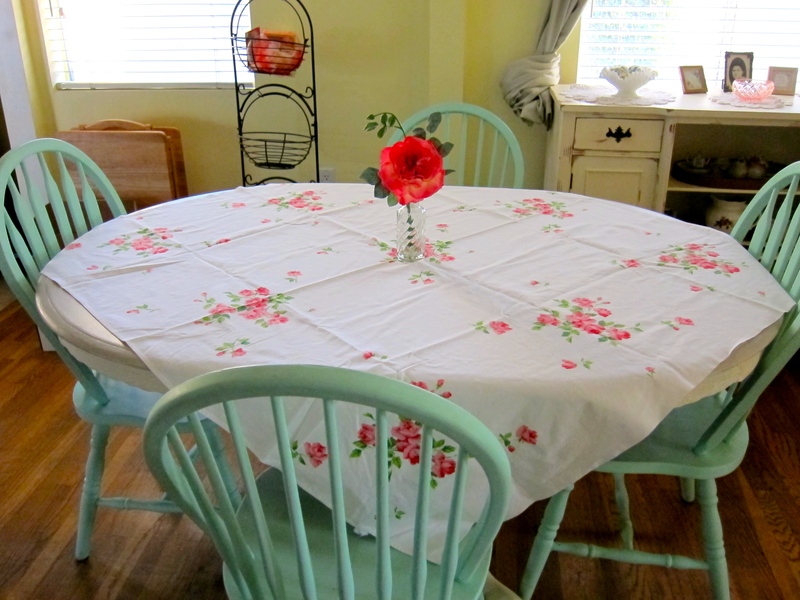 And the pretty flowered tablecloth makes me me want relax with a cup of tea and a good friend. 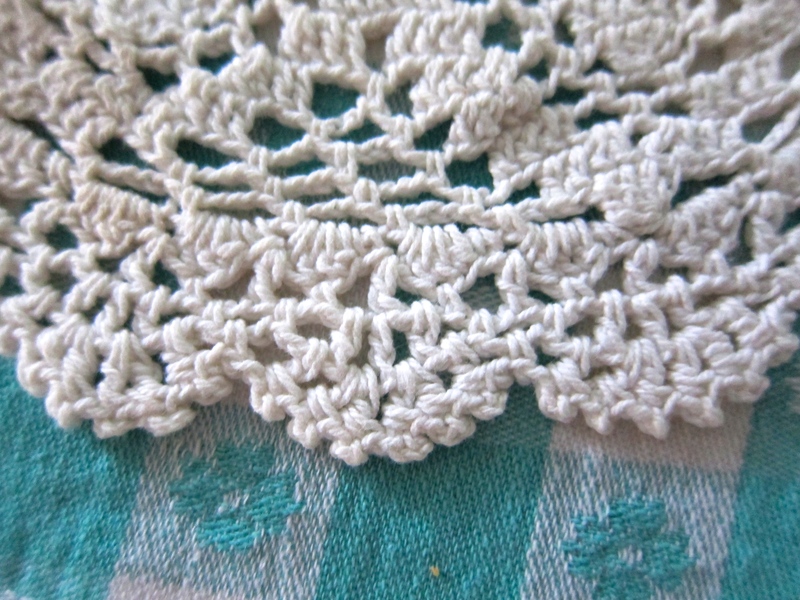 I loved this cute table runner. Saw it and had to have it. 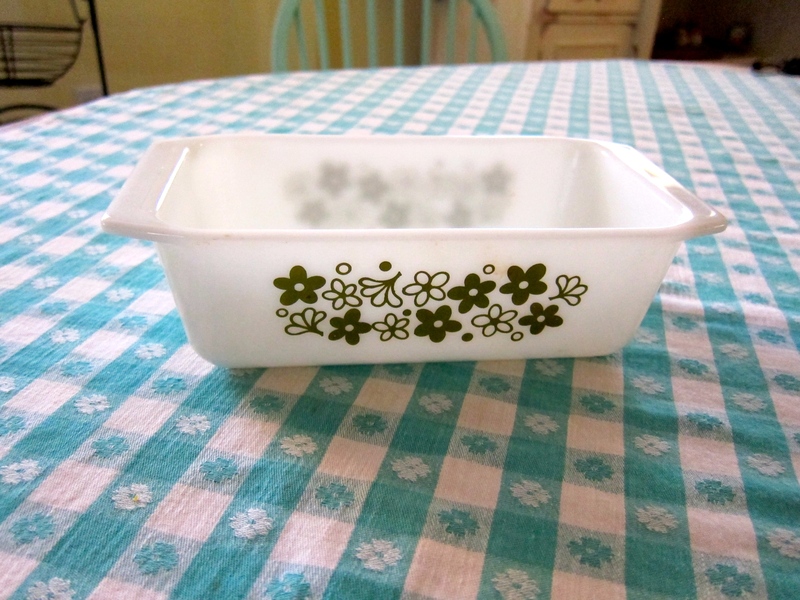 I never really paid much attention to vintage pyrex bakeware until recently. 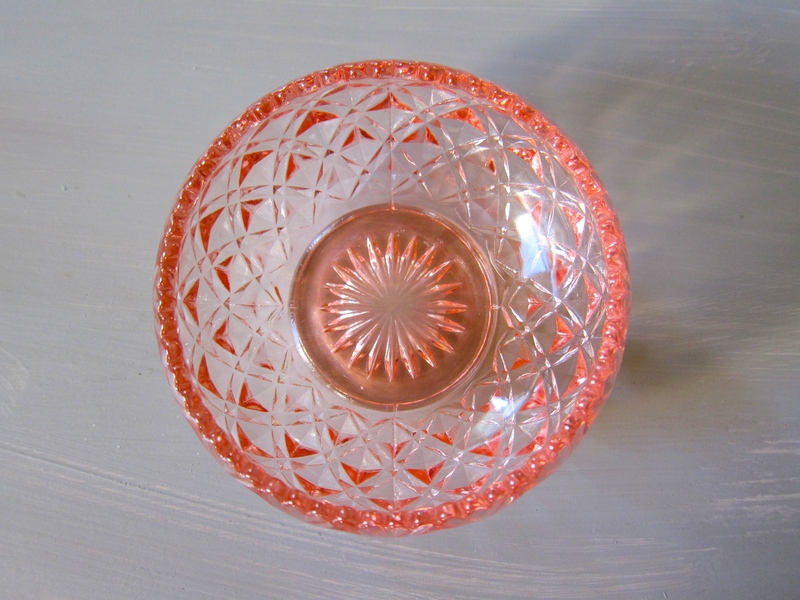 The ones you see in the stores today are the plain boring glass ones. But the ones from way back when are colorful and pretty to look at and I think better quality. 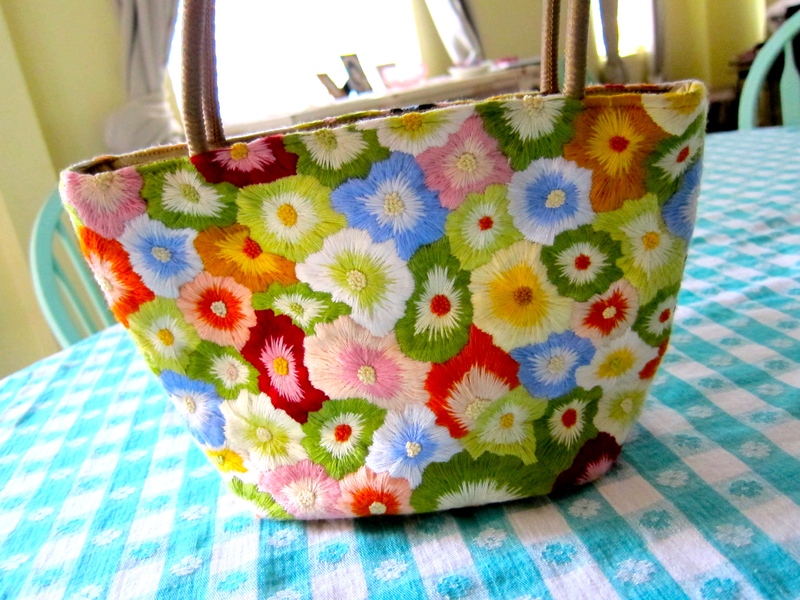 Oh and some even have pretty flowers designs on them too. 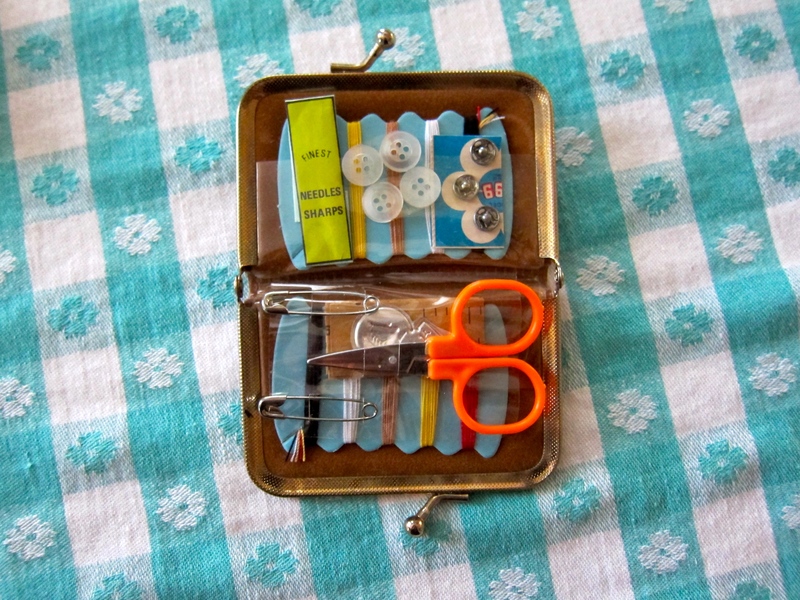 I hope to get my hands on some pretty turquoise and green sets. 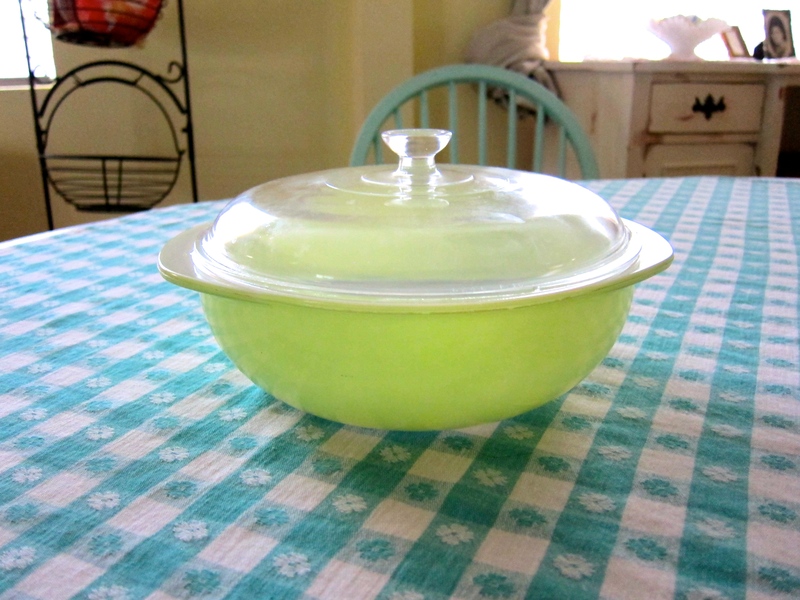 I did spot this beautiful minty green bowl with a glass lid (I could swear I heard it calling out my name) and this cute loaf pan. Adorbs! 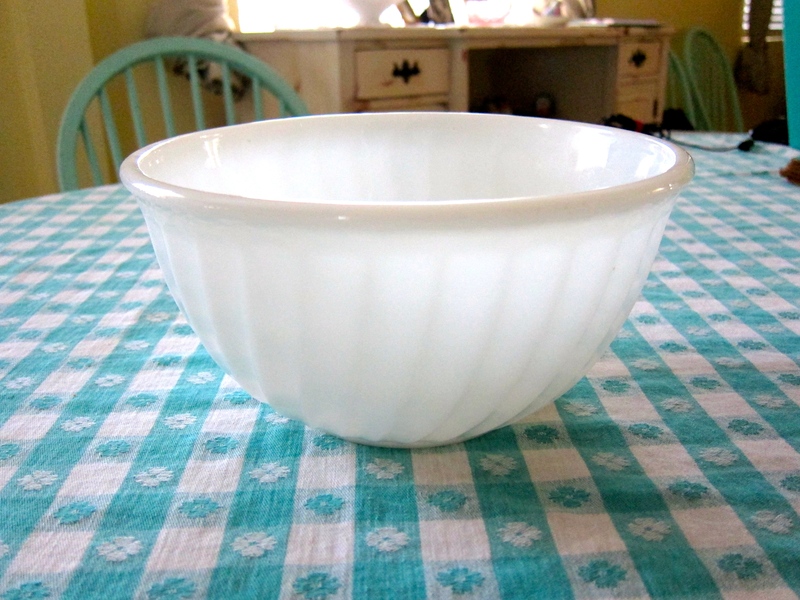 Love this perfect vintage Fire King white swirl bowl. After I bought this I later found a Fire King set of 4 (maybe 5, can’t remember) swirl bowls for $30. I was low on cash and didn’t have enough on me. Still kicking myself for not snagging that deal when I had the chance. Thinking back I don’t know why I didn’t ask the lady if she accepted debit cards or at the least I could have got my hand stamped and left to go to the bank and come back for it. It was a beautiful set and in perfect condition. Ughhh….I best not think about it.. 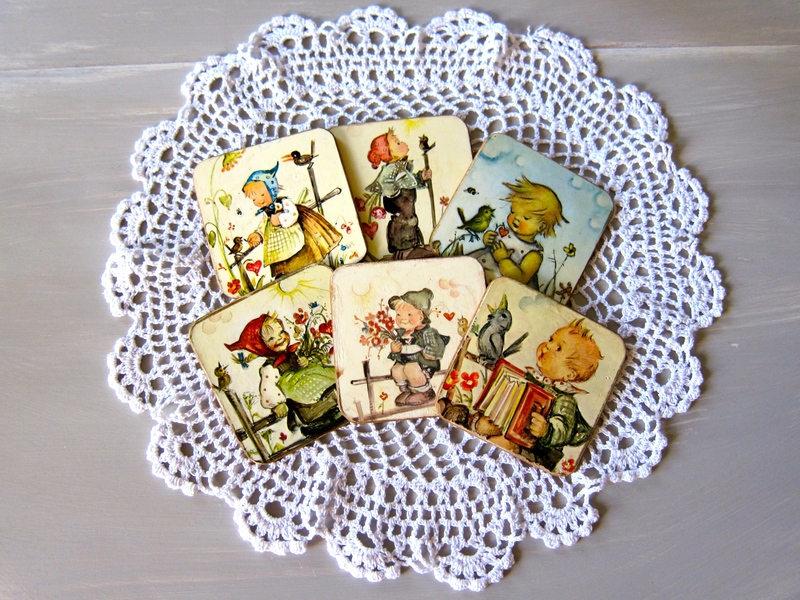 I wasn’t looking for coasters but gosh this vintage set really caught my eye. Simply adorable. 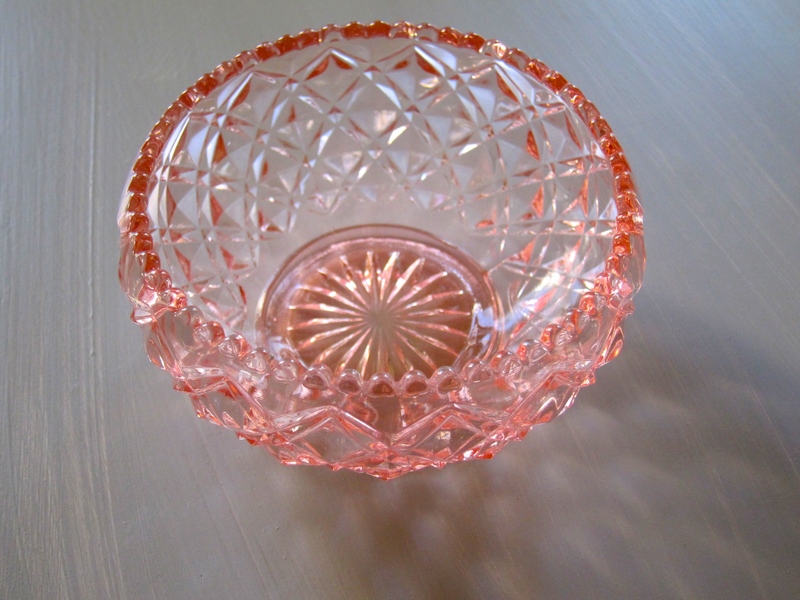 Feast your eyes on this pretty pink glass bowl. 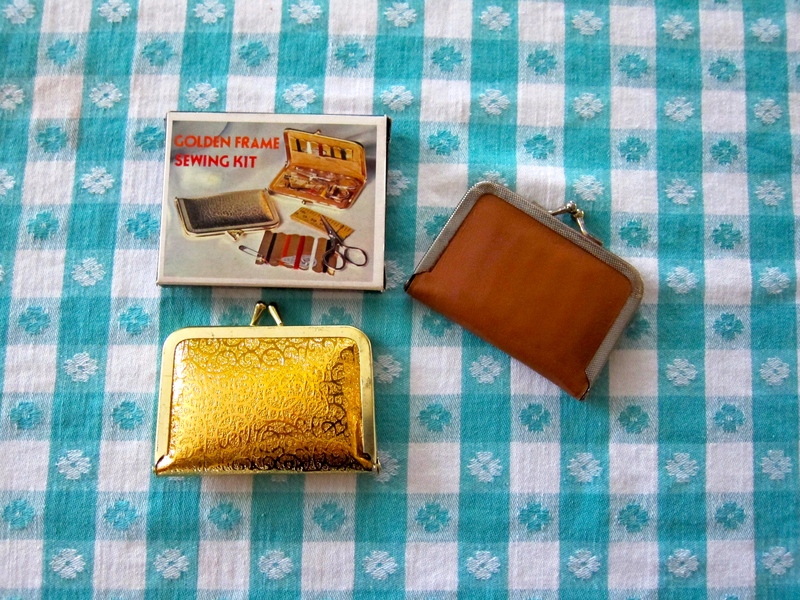 Perfect for jewelry or to just display to show it off. 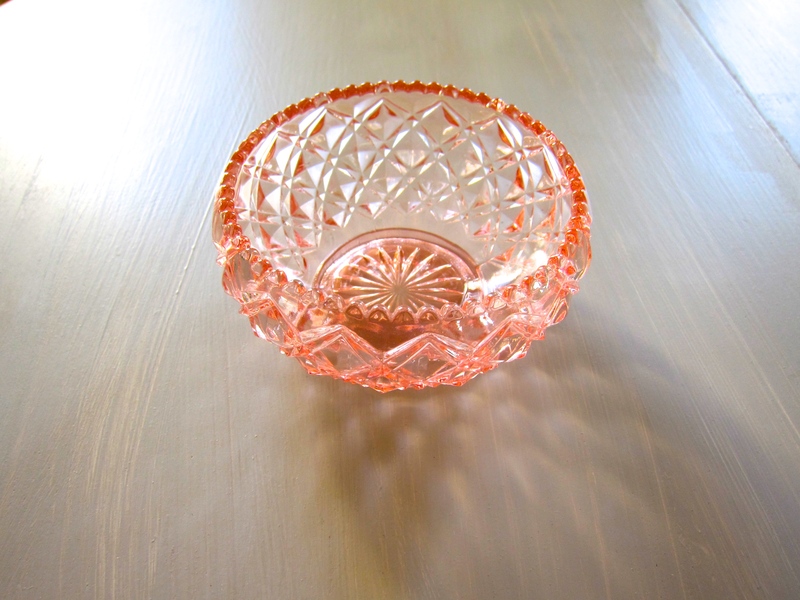 I was actually lucky to find this glass bowl. The lady was trying to get rid of everything and all items were 50% so I got this beauty for just $2.50. I took several pictures of it so you could see how stunning it looks from different angles. Isn’t it purdy? 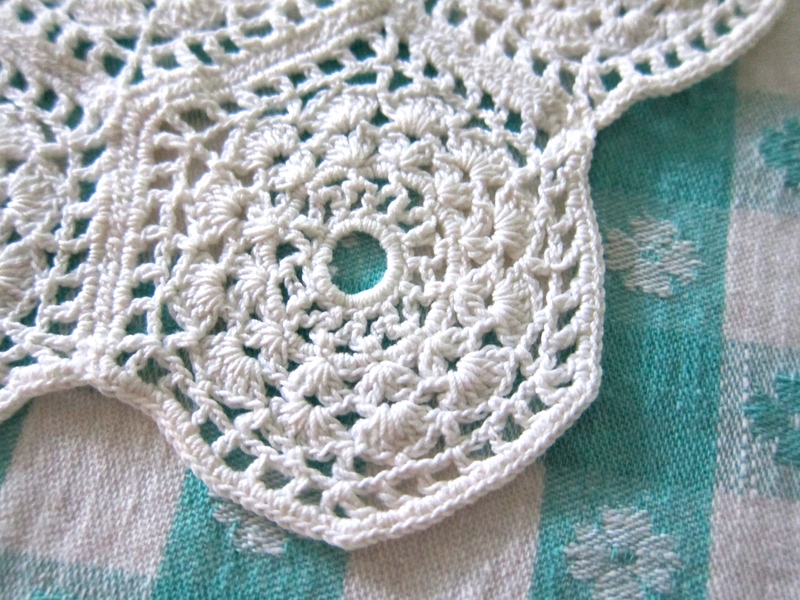 And finally…I will leave you lovelies with these delicately crocheted doilies that I was lucky enough to find in absolute great condition. Check out the close-up shots so you can really appreciate the detailed work. Hope you enjoyed some vintage eye candy. Please feel free to comment, like or follow me. Have a fantabulous day everyone! God bless!!! 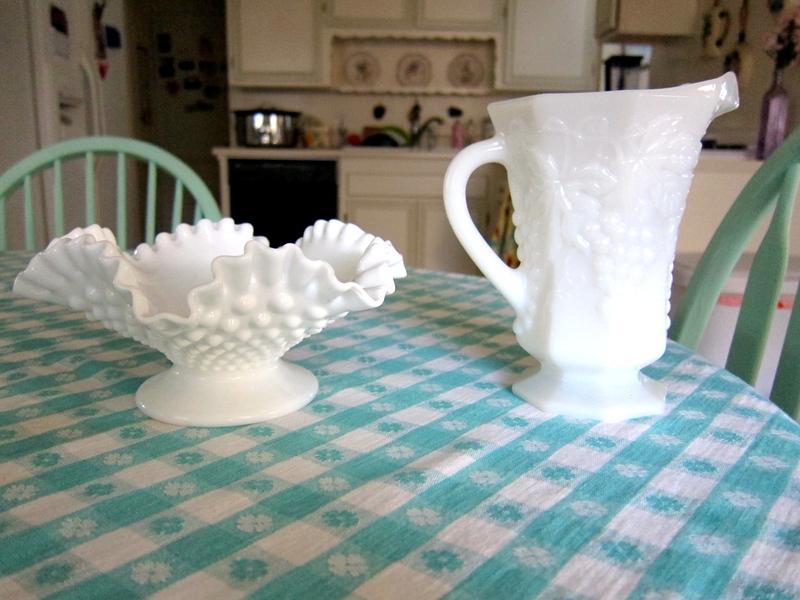 What fabulous finds!! 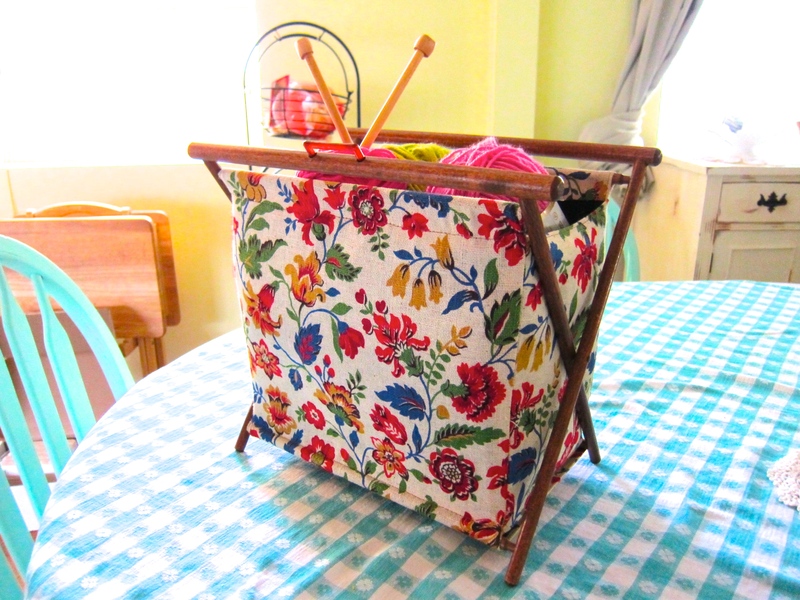 Love them all especially the knitting bag/stand. What a lovely purse! Delightful blog! Thank you so much for your comments. So appreciated. You have really good taste! Thank you for sharing! Those are so adorable. I love your posts about knitting too. What a great blog! I love the bag! And the linens! 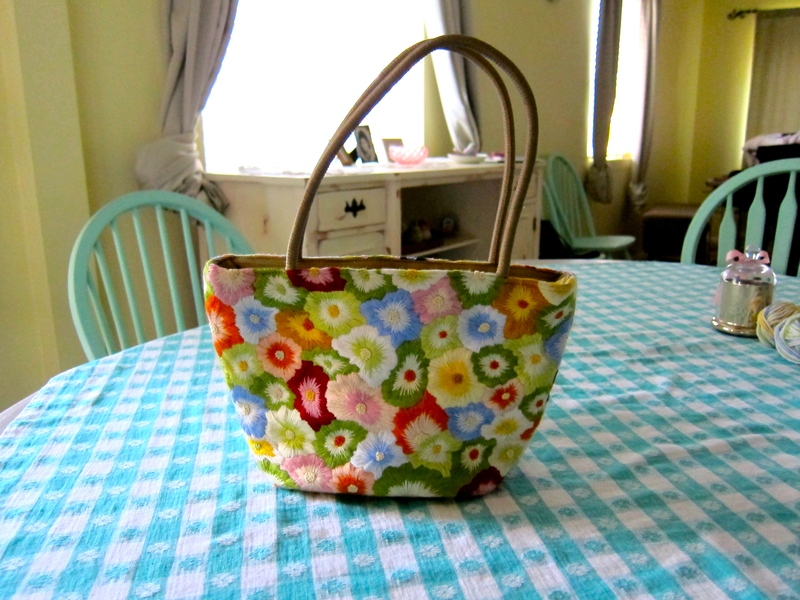 And the knitting bag! Great finds! Thank you! I felt like I really scored that day when I found all those goodies!